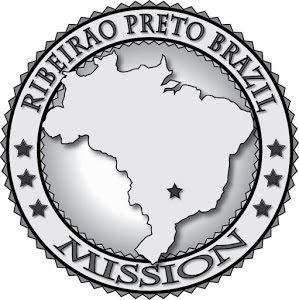 Elder Seaman's Mission in Brazil: Semana 16: Feliz Ano Novo! Whoop, Whoop! Semana 16: Feliz Ano Novo! Whoop, Whoop! I hope your holidays were great. Everyone here is sobering up and going back to work, so you could say life is going back to normal haha. This week we passed our new years eve with some members, which was pretty fun. The whole day long people were setting off those giant fire crackers (can't remember how they're called) so it felt like we were under fire and i think my ears are still ringing. At midnight they launched LOADS of fireworks over the lake which is right next to our house so it didn't give much to sleep, but our neighbors house was also too tall so we couldn't really see the fireworks either haha. Oh well. Instead of sweets, the holiday season is spent eating beef. So these last 2 weeks i've eaten more cow than my life in whole. It's suuuuper good but there reaches a point when you've eaten half a cow already that night and the member puts another 3 swords of beef over the coals and you know you're in trouble. Needless to say we don't pass many nights hungry. We went on divisions this week with our Zone leaders which was pretty fun. I think the most interesting things on the mission happen when you're knocking doors (well, clapping hands here) and that's what me and Elder Aninias did. We met this super cool family (actually 3 families in the same house) and they've been very interested to hear the lessons etc. On sunday they were all ready to go to church (all 8 of them) but their house ran out of gas so the parents had to go to get more and of course every store on this half of the city was closed for new years so they missed church completely, but their son Pablo came with us and he said he loved it. They're all super smart and funny. I'm excited to visit them more. Hope you all are startting off your new year well. This week i learned about the essentials to being "gaúcho" which is someone from the state of Rio Grande do Sul, or the south in general. My companion is from there, and he told me they LOVE churrasco, and chimarrão, which is that drink he's holding in the picture.